So delicious looking you'll want to eat them, these candy-themed keychains make a great giveaway! 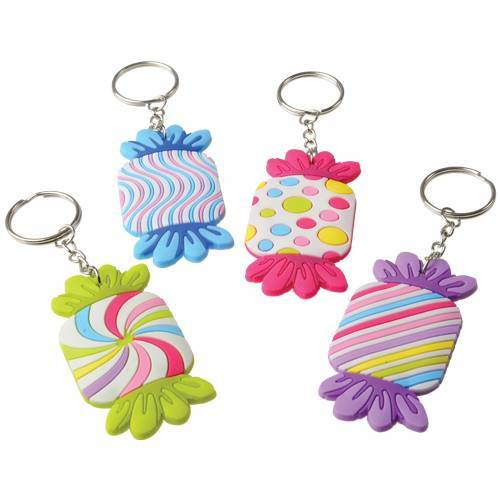 Each metal keyring comes adorned with a rubber pendant depicting a wrapped piece of candy in fun bright colors. The "sweetest" party favor for any themed event!